It smelled of sea, it smelled of fresh fish, it smelled of happy dogs and even happier people. 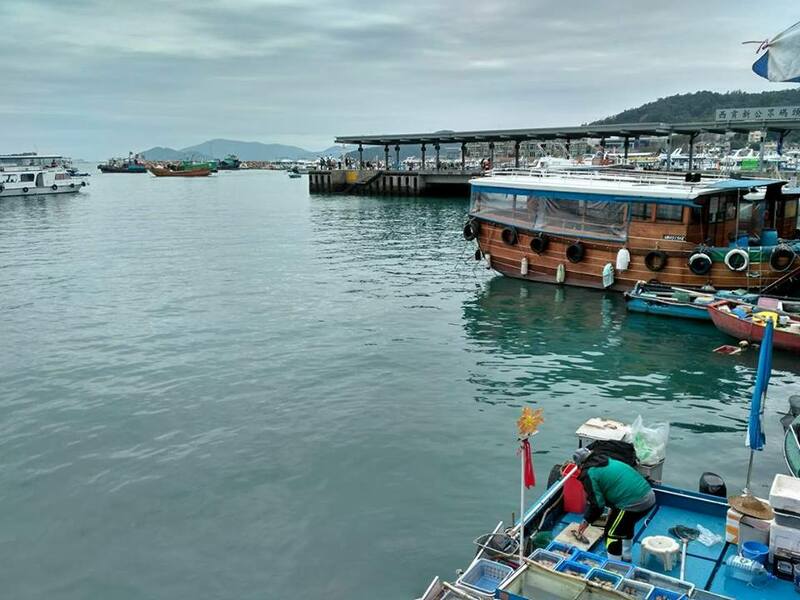 The moment I got off the bus at Sai Kung, I was suddenly transported from the busy city life of Hong Kong, to a place where life seemed easy and happy. At once, I fell in love with the vibe of Sai Kung. 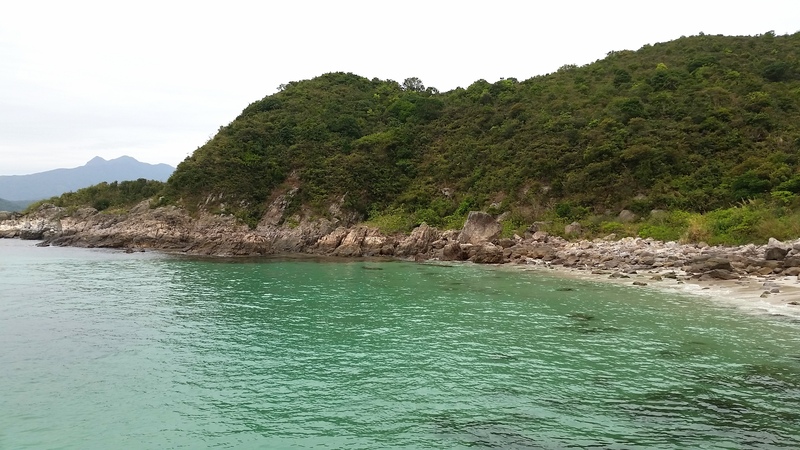 As mentioned in my last article about Hong Kong’s hidden gems, located in the new territories, Sai Kung can easily be termed as the locals’ secret of Hong Kong. Not too many tourists or even travellers venture all the way here but the ones who do, discover a completely different side of Hong Kong. The roads are not sloping upwards anymore, the windows of the houses are bigger than a small hole and instead of shooting to the sky, the buildings are much more down to the earth. People are not rushing off past one another, instead, they are merrily strolling by the wonderful sea side. Families are busy playing with their pets or their children and a bunch of school kids are presenting a cute little dance performance. What’s more, at every step, a new aroma entices your senses. At first, it’s the fresh fish! I quickly walk over to the railing beside ferry pier to discover its source and find something unique. 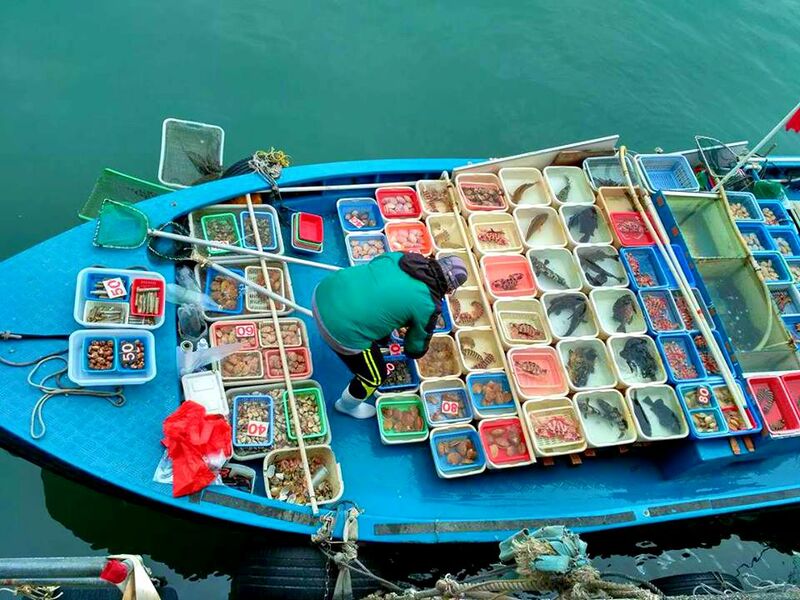 They are selling fish directly from their boats! 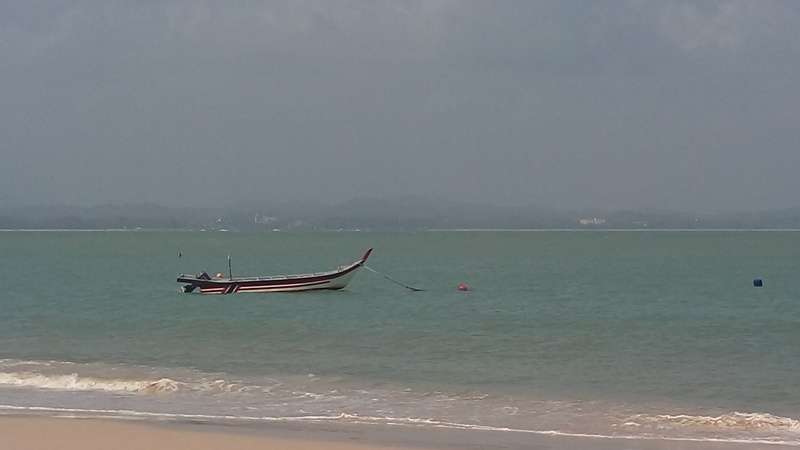 Oh yes, the boat is floating in the water along with the fisherman while the locals gather near the railing. Due to the major height difference, the fisherman uses a long stick attached to a curved net to deliver the fish and collect the cash. Hong Kong may have turned into Asia’s financial centre but it seems not much has changed in Sai Kung. As I quickly called my friends to show them this arrangement, another smell drew me towards the market. Sea-food perhaps? I was not wrong. As we walked towards the town centre, a number of sea-food restaurants by the sea-side greeted us. 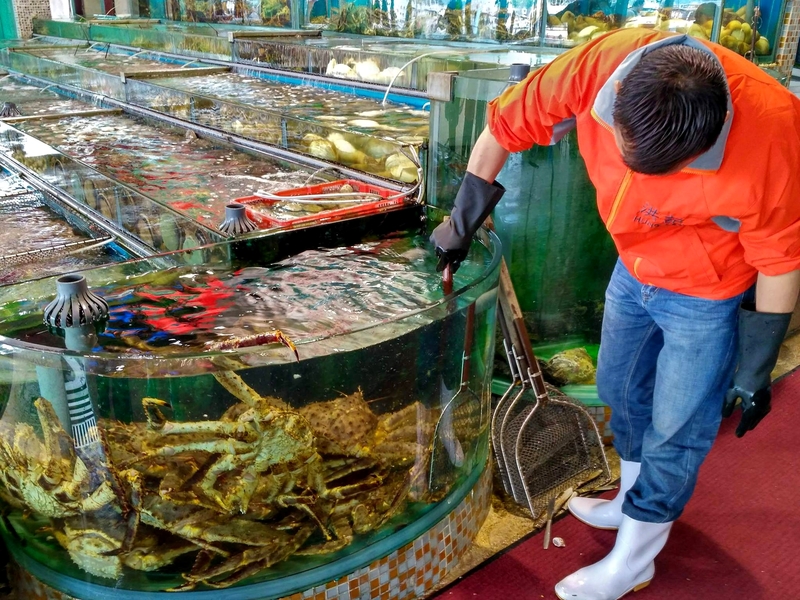 We stared at the huge crabs inside the transparent vessels and then made our way further inside. Historically a fishing village, Sai Kung has seen major development projects and a wave of expats flowing in over the years. Everyone feels at home here and all are welcome, no matter which race, country or religion you belong to. Due to this unique blend of expats and locals, the Sai kung town centre consists of a number of local and western food joints. One minute we were sorting out dimsum menus and the next minute we were walking past hipster cafes serving cuisines from around the world. Whether you want a strong cup of coffee or a slice of pizza or some laksa, Sai kung has it all! Everything seemed perfectly at balance here and everyone seemed to enjoy life every second! The charm of Sai Kung is not only in its perfect blend of culture and a relaxed vibe. Sai kung easily boasts many geographical miracles and nature’s gifts. From gigantic hexagonal rock columns in the East Dam to Hong Kong’s best beach “Tai Long Wan”, Sai Kung has it all. The ferries from the pier take you to a number of islands, many of which are untouched and geographically diverse. 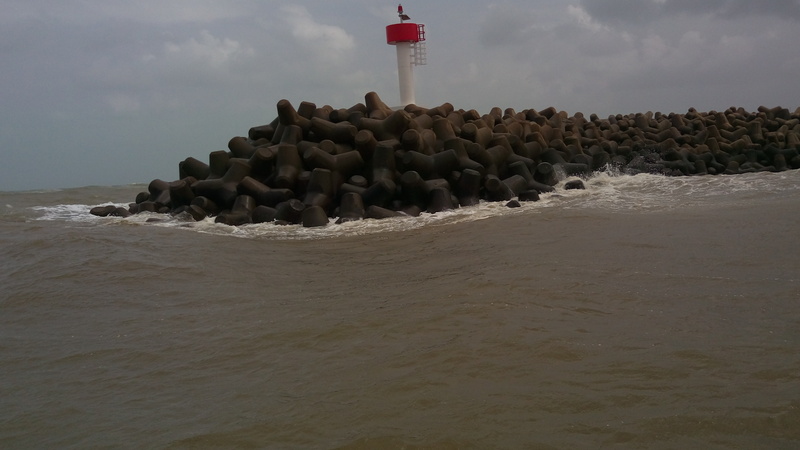 The boat ride itself is a refreshing experience as the fresh wind blows over the sea and all the way through your hair. Innumerable hills and small islands pass you on both sides as the boat speeds through the emerald green water. 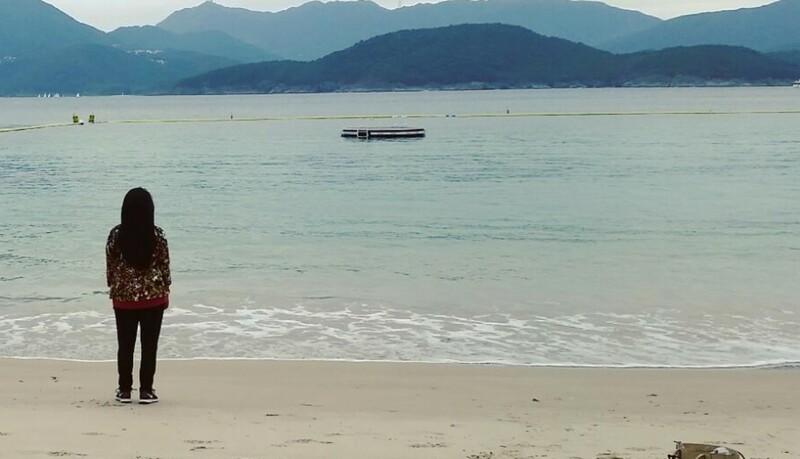 On my second trip to Sai Kung, my mother and I had visited Hap Bun Bay. Upon reaching, we surely felt nothing less than Robinson Crusoe but that story will be for another time. 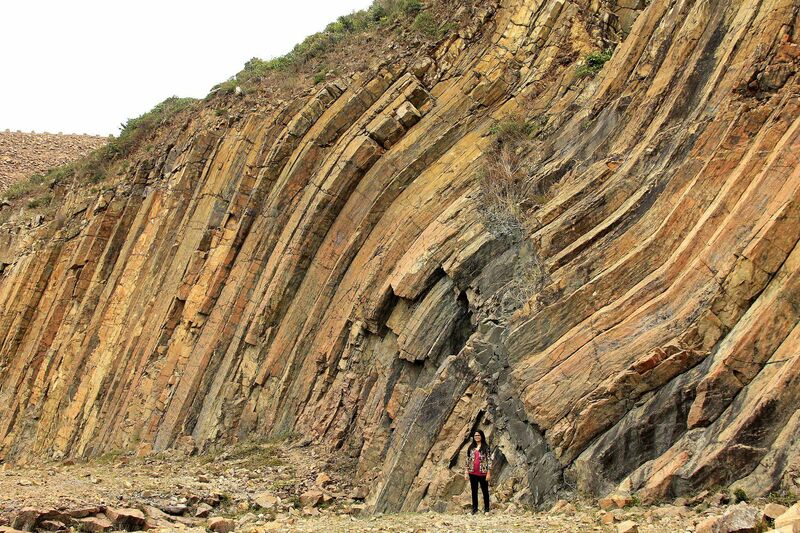 The point is, whether you want breath-taking hikes (Maclehose trail) or just empty beaches (Tai Long Wan, Hap Bun Bay) or unique rock structures (Sharp island, East Dam tour at Hong Kong UNESCO Global Geopark) Sai Kung will not disappoint. What’s the one thing that’s on your mind after you finish a hike or a trail? Food, of course, right? After exploring islands and parks, we were starving but we weren’t ready to just jump at the first food we found. Instead, we ventured out to explore once more. As a person, I am always keen to try new cuisines and naturally, I have tasted most of the popular cuisines around Asia at least. This was until I found the Sri Lankan restaurant: “AJ’s Sri Lankan Cuisine” (no I don’t have a tie-up with this place!). A cozy ambience greeted us and the aroma of Sri Lankan curry reminded us we were indeed starving! We delved into the menu and ordered a bunch of curries, biriyani, chicken and what not and every item was mouth-watering. We grudgingly lifted our bodies after a while and took a stroll along the sea-side, just like the locals. The night was approaching soon and we were far from home. We were happy and a part of me just wanted to remain there. The happiness of Sai Kung was indeed contagious. I promised myself that I would return soon and in less than a month, I was back here, exploring more islands. 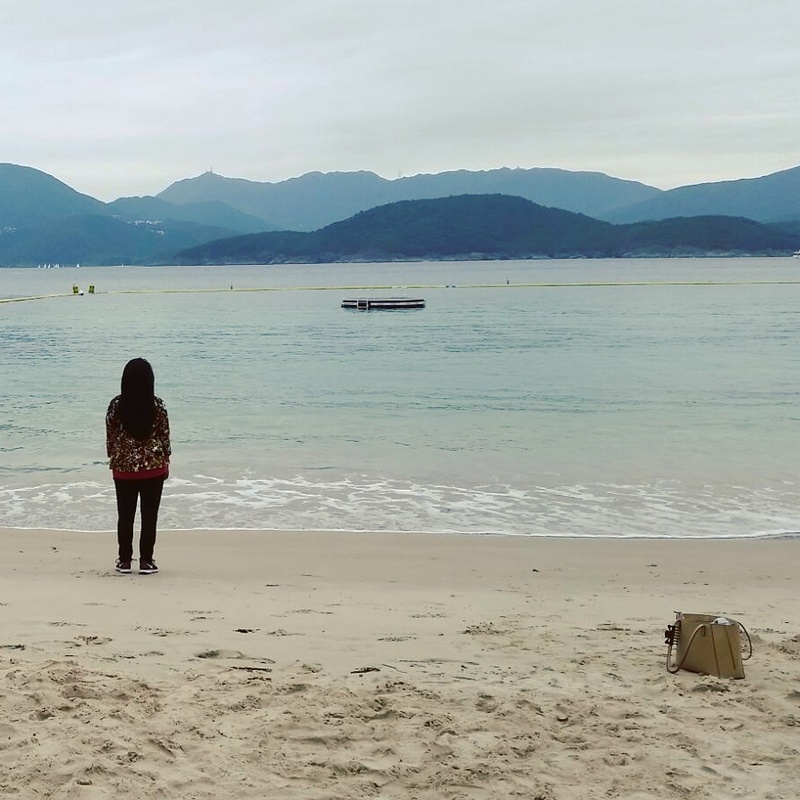 After all, I had found paradise in Hong Kong and I was not willing to let go of it so easily. Right now, sitting on a bed and staring out of a window in Singapore, if there is one thing my heart misses about Hong Kong, its Sai Kung and its joyous vibe. It was Chinese New Year and half of Singapore was off to Malaysia! I was no exception. 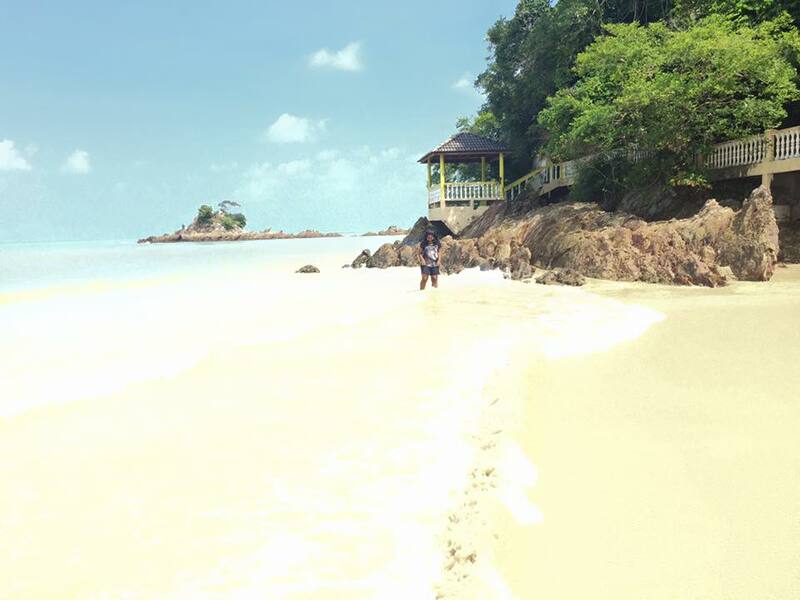 After all, Malaysia was the closest and probably the most accessible vacation spot for a Singaporean resident, not to mention it is a huge country and a beautiful one. However, because everyone was looking for a quick gateway at this time, all the tourist places were overbooked and the prices kept hiking up every day. Thus we had to spend considerable time searching for a vacation spot which was worth visiting and at the same time would fit our budget. 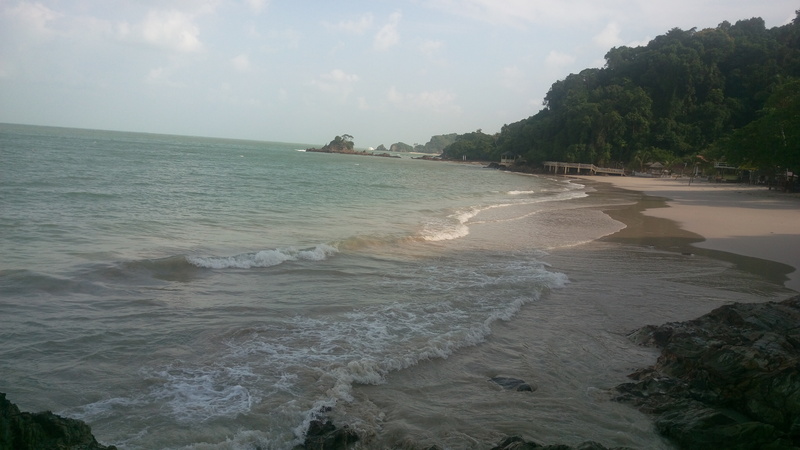 Pulau Kapas was the perfect spot, except for one problem. It was supposedly off season and the island usually opens up to tourists on a full scale only during March. Yet, here we were, in the first half of February planning a trip to this island and trust me off season is sometimes indeed the best season. 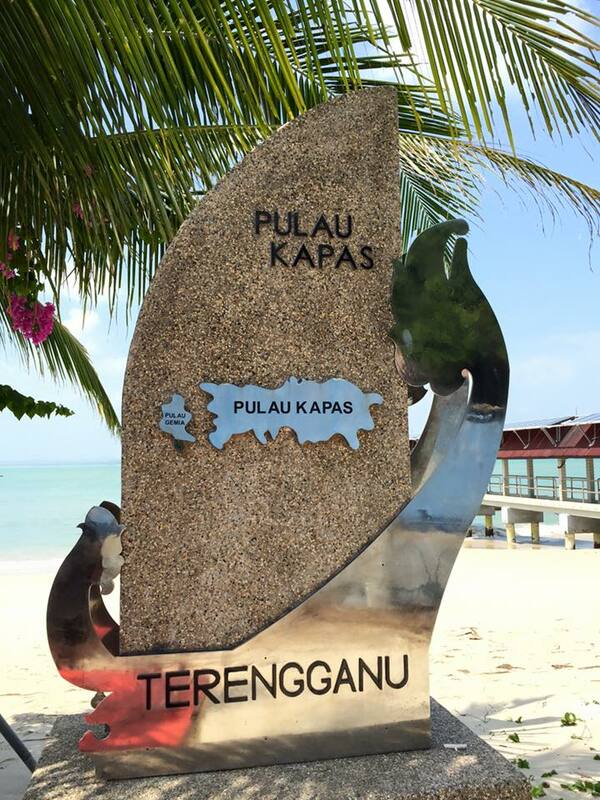 Pulao kapas is accessible by ferry from Marang jetty which is located in Kuala Terengganu. We booked seats in a bus which took us over the highways of Malaysia for 11 hours before reaching Kuala Terengganu. 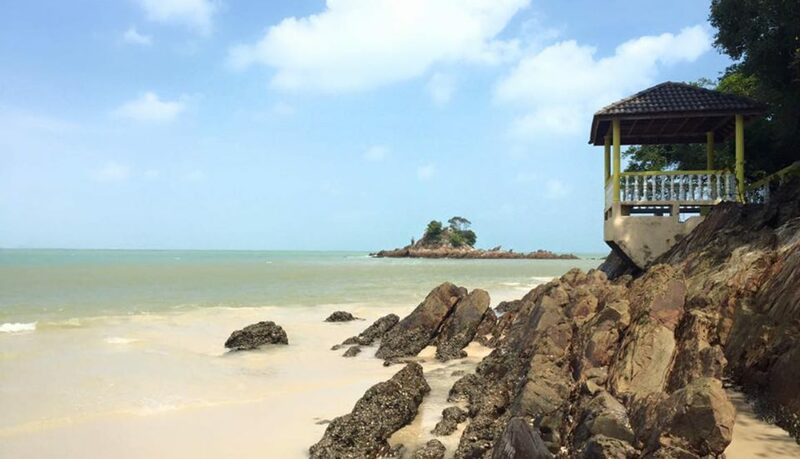 After freshening up at a hotel, we decided to head early to Marang jetty. It was drizzling and the wind was strong. Little did we imagine the boat service would be disrupted due to such weather condition. 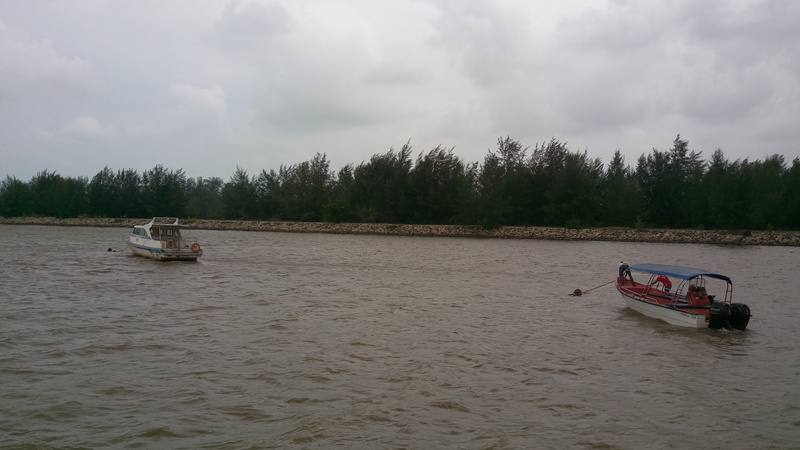 On reaching Marang jetty, we were informed that ferry service for the day was terminated as the winds were too strong and it was too risky to go into the sea. We found another group of travellers who had already waited for a day to avail the ferry service due to such weather. I can’t even begin to describe our disappointment at that moment but we were persistent and in the end, though we paid a lot more than the normal amount, we got a seat in the only cruise that was going to the island. While we waited at the jetty, we encountered this crazy man, (and I mean actually crazy) who kept singing loudly and posed with a stick imagining it to be his mic. It was entertaining before it got annoying. The cruise finally arrived and we put on our life jackets and sat at the deck. The next half an hour is one of the best cruise experiences anyone can ever have. The sea was violent and the waves went crazy. Our cruise swayed and rocked with every huge upcoming wave and we held on to the railings as hard as we could. The sea water drenched all of us and it was one hell of a ride! It almost fell like we paid to get up on a ride in an amusement park! 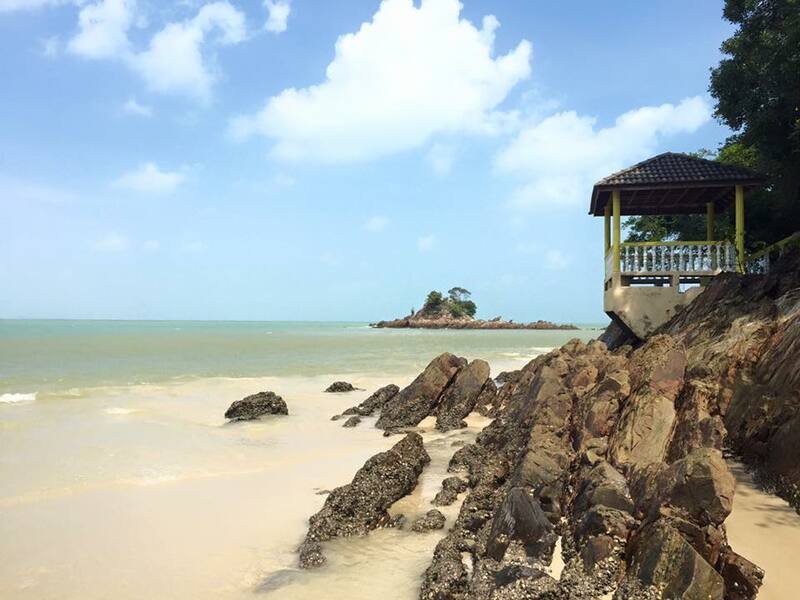 Finally, after a bumpy ride, we reached the island – Pulau Kapas! 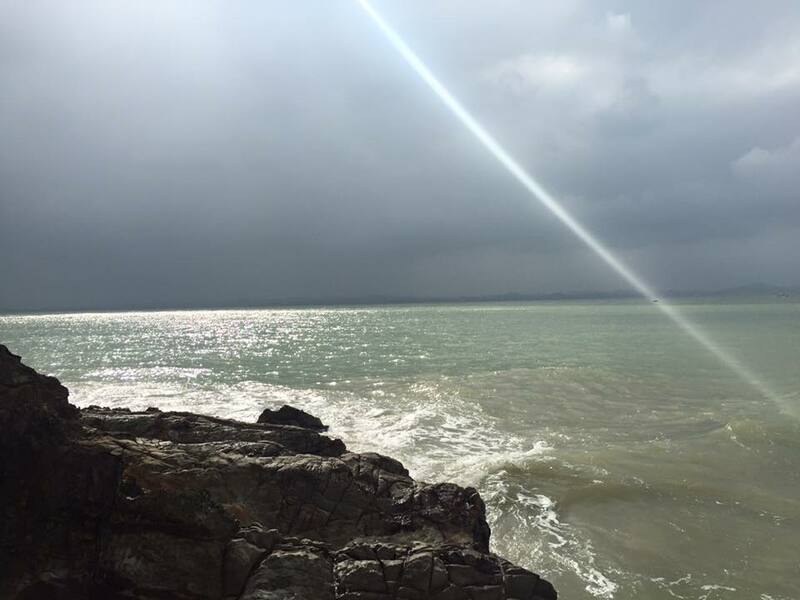 The sea was so moody that the ferry could only access one part of the island. Hence, we got dropped off at one end of the island and the hostel we had booked was on the other end. Drenched in sea water and tired after the long journey, we decided to stay in the first place we see. Thankfully, Kapas island resort which was right in front of the ferry terminal, had a room for us and we even managed to get a student discount! 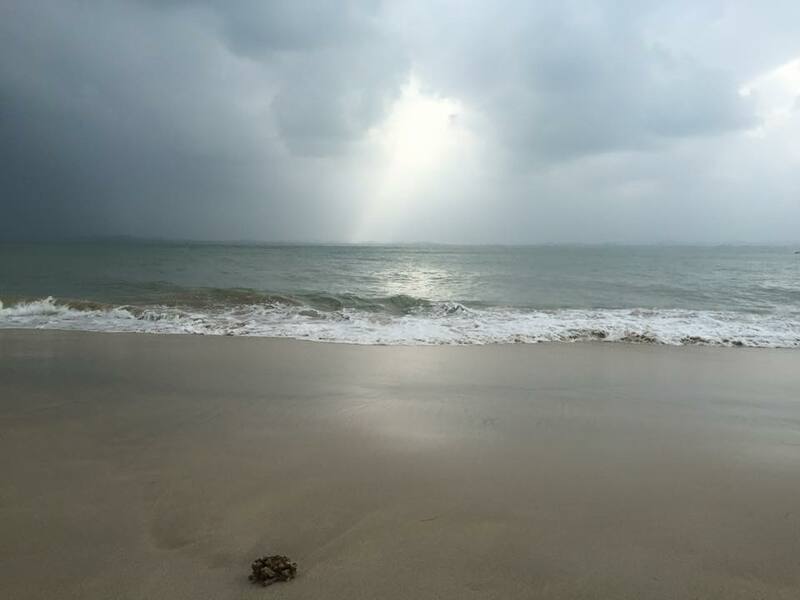 After dumping our bags in the room, we walked out and the beach greeted us with calm water and clouds filled the sky. The best part about island is that all the chalets and resorts are located right on the beach and many of them even have sea-facing rooms. We let our feet sink in the soft sand and slowly walked to the water. 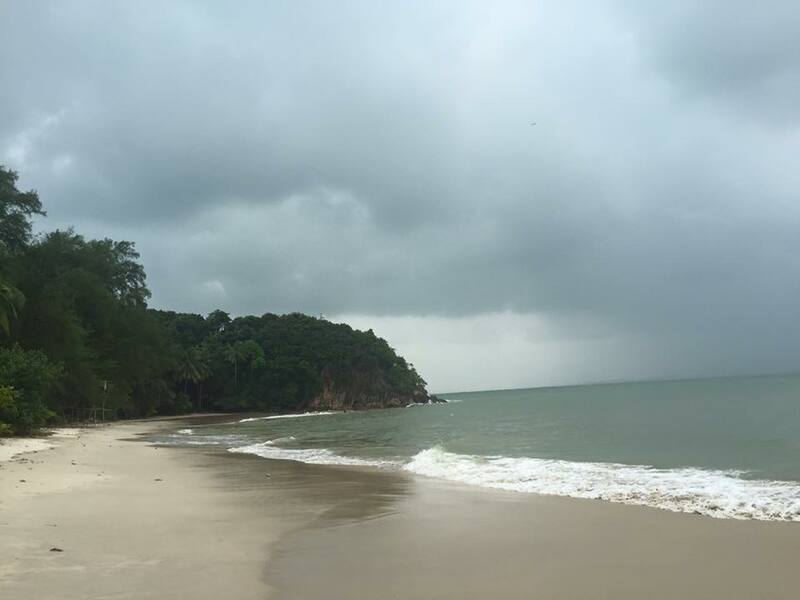 We saw a hiking trail at one end but our tiredness combined with the possibility of rain convinced us to just laze around the beach. 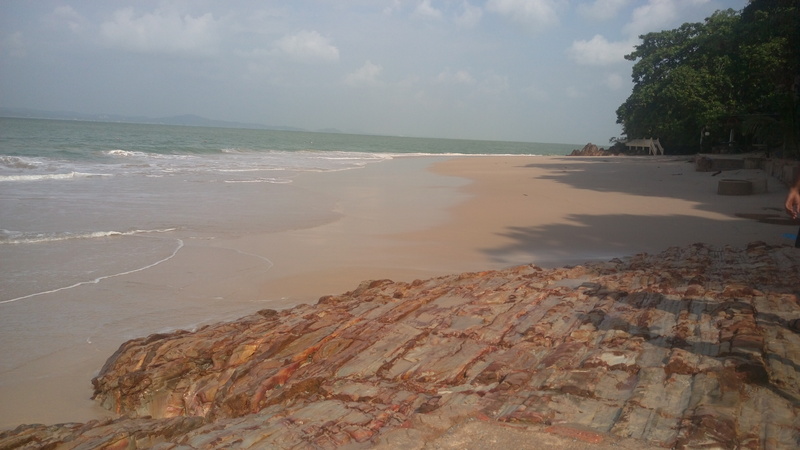 Where the beach ended, we climbed the rocks with a curious mind to see what lies past them. After a while, we were greeted with crabs and we were terrified. We returned and walked in the opposite direction. 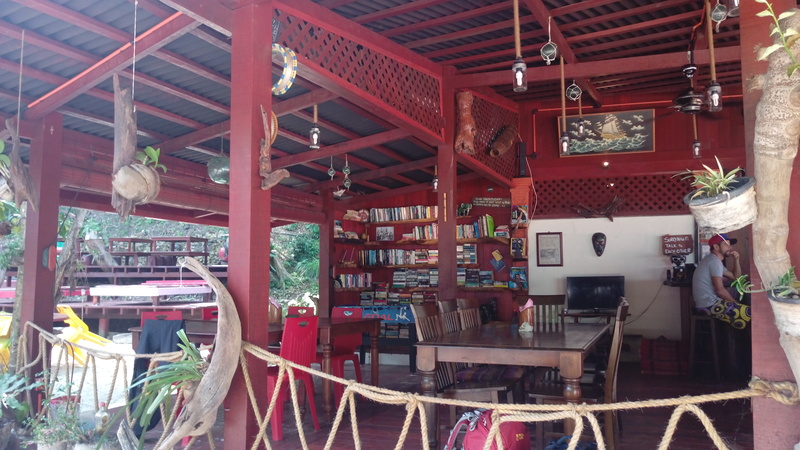 We came across this extremely nice chalet with a beach café. It was a perfect ambience and we were thirsty but our pockets were empty because we didn’t want to drench our money. We spoke to the owner and she gave us drinks with the promise that we will pay her back that night. The sea was again beginning to dance around and I could resist it no longer. The waves were high and finally I let the sea take over. I jumped on the waves and swam & floated with them. The waves dragged me to the shore and dragged my body back to the sea. It was one of those times when I could just forget everything else and be happy, truly happy. The kind of happy when you have a wide smile on your face for no reason, all by yourself. After a long time, the sky was dark and we were tired but the sea was not. We ordered for dinner at the same chalet (KBC Chalet) and promised her we would return. She smiled and said “if the sea lets you”. Going back to our resort was nothing short of an adventure. The island is divided in various parts and each are connected by small flights of stairs and a small bridge. The same path that we had crossed earlier was now submerged. The sea showed us its true power, its other side. We tried holding each other and timed our steps. We tried running across the beach but instead we hit the rocks and fell down right in front of the stairs. The bridge was slippery, dark and watery too. We crossed one bridge and tried the same steps. This time, one of my slippers was dragged away by the sea. Knowing that’s the only one I was carrying, I ran behind it. The water played around with me for a while and finally I managed to get it back. With each other’s help, we managed to reach our room. The endless showers of clearing sand from our body and the fun-filled day left us exhausted. Most importantly, the tide did not show any hint of subsiding and we could not dream of drenching ourselves to go back for our pre-ordered dinner. No one had their phone number either. With a sincere feeling of guilt, we had dinner in our own chalet among various types of pet cats! After a good night’s sleep, we freshened up and had breakfast in the restaurant right in front of the ferry terminal where a little girl played merrily in the water. We went back to KBC Chalet and sincerely apologized. She understood and served us food. 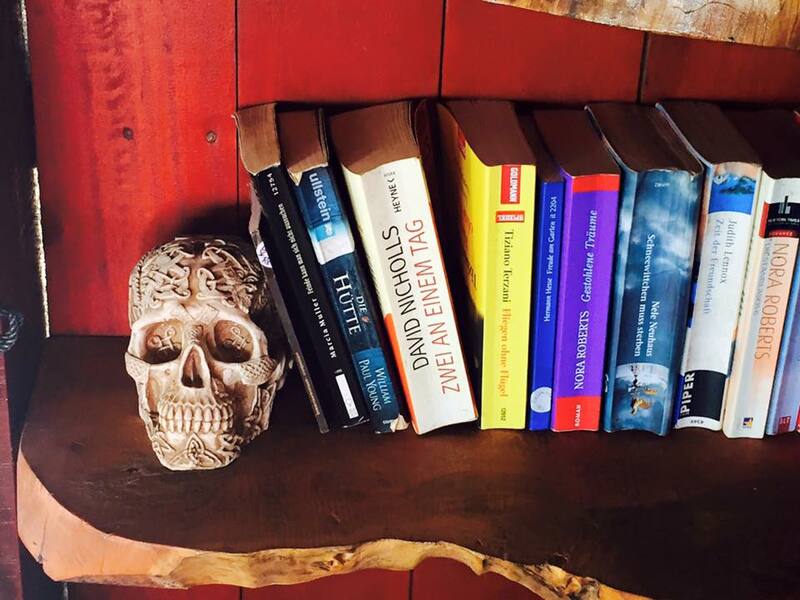 The café has a small library and sells interesting items. We spoke to the owners about how they fell in love with this place when they visited it the first time and then bought this place & remodeled it to their taste. We collected a few items for memories and started off for the beach one last time. I had already showered and the sea was calm today. The sun showed up too. Unable to resist the temptation, I went in to water yet again, just leaving my hair dry. We hurried back to catch our ferry but there was none. We were scared that we missed it and would also subsequently miss our bus. Thankfully, the ferry was late and this time we had a comfortable, sleepy ride back to Kuala Terengganu. Now that we were back on time, we went to visit The Crystal Mosque. 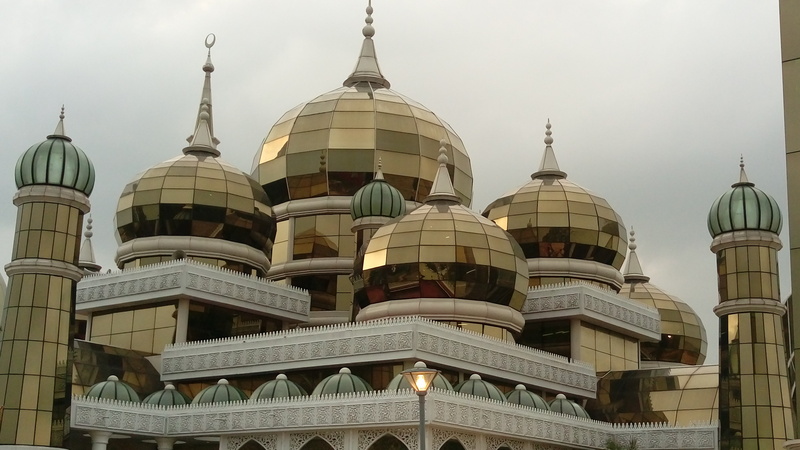 Dressed in shorts and sleeveless clothing, we did not attempt to enter it but we did admire its beauty from outside, especially as the day faded to night and the lights that adorn the mosque were turned on. A crowded place but a nice piece of architecture (considering the little knowledge I have of art & architecture). Malaysia is any Singaporean’s shopping paradise because everything is almost two or three times cheaper. Once I had even purchased groceries from Malaysia on the way back to Singapore! We took advantage of this price difference and shopped a bit before we bid farewell to this country, only to come back to it soon, very soon. As the bus drove us through the endless roads of Malaysia, I appreciated the country one last time before trying to fall asleep. Singapore welcomed us in the morning and with a heavy heart and some beautiful memories, I opened the gate of my residence. Definitely try and get a room in KBC Chalet if there is a vacancy. I can’t guarantee how the rooms are but the café and the crowd along with the ambience is just what you would want for a beach vacation. Since this might be a little tough to find, their contact is keune@gmail.com, +6019-343-5606. Try to book in advance and this place would be in demand. You have two options- visit during peak season and you would get a perfect weather and possibly might even have the opportunity to go kayaking or visit in off season to enjoy the turmoil, the raw beauty and unexpected circumstances. If you do visit in off-season, try keeping a flexible schedule and a day or two in hand. Some of the days, the sea allows no ferries at all. Prepare yourself for the long bus ride and definitely carry a thick jacket. Malaysia is a shopper’s and eater’s paradise. Wherever in the country you are, try to eat & shop as much as you can. 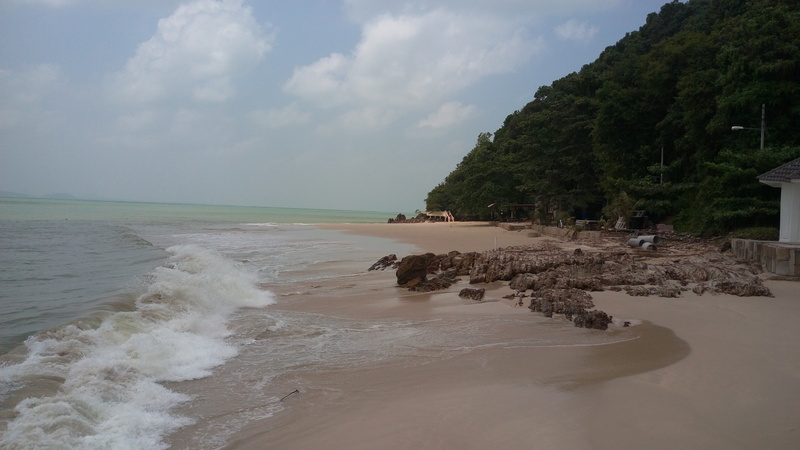 The island (especially during off -season) has almost nothing- no shops, try to carry whatever you require, except food. Try to act according to the timings of the tide. After all, time and tide waits for none.